â€ Free Upgrade Offer. Queens Grill Upgrade offer is based on reserving a Queens Grill Suite (category Q5) for the price of a Queens Grill Suite (category Q7/Q6). Princess Grill Upgrade offer is based on reserving a Princess Grill Suite (category P1) for the price of a Club Balcony stateroom (category A1). Balcony Upgrade offer is based on reserving a Balcony stateroom (up to category BV on Queen Mary 2, BD on Queen Elizabeth or Queen Victoria) for the price of an Oceanview stateroom (category EF on Queen Mary 2 or category FC on Queen Elizabeth or Queen Victoria). Upgrade offers are not available to third/fourth berth guests and are subject to availability. 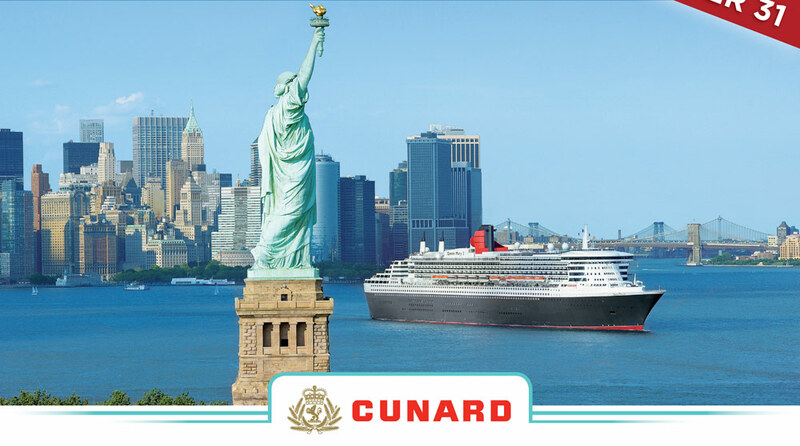 â€¡ Free Gratuities offer is based on pre-payment by Cunard of suggested gratuities in the amount of $13.50 per person per day for Grill Suites or $11.50 per person per day for Britannia Staterooms. Free Gratuities offer is not available for third/fourth berth guests. Offer is not transferable and may not be combinable with other offers. 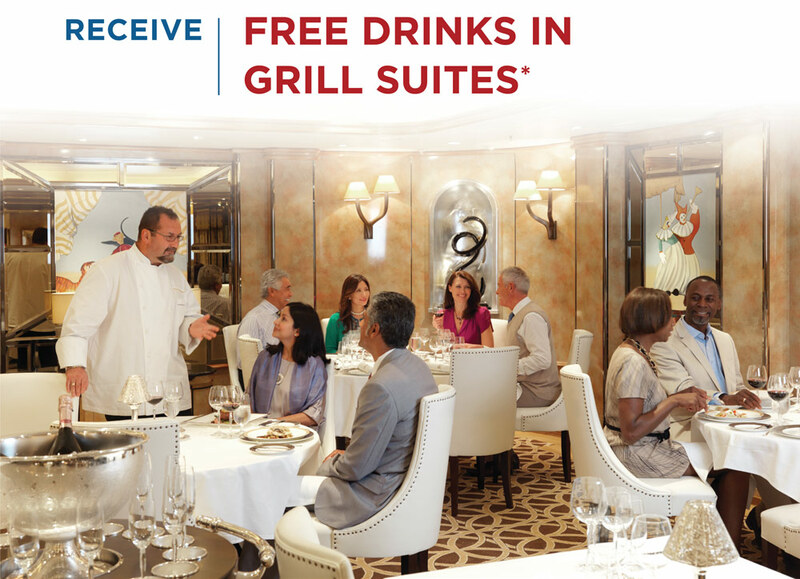 Free Gratuities are applicable to bookings on voyages included in this promotion only. * All offers end 11/19/18.